Anthony S. Blacksher is a poet, professor, and vinyl record collector. 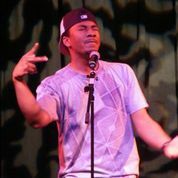 Writing and perfoming under the name Ant Black, he is the associate publisher of San Diego Poetry Annual. He performs regularly with the dance collective bkSoul, producing collaborative theater for social justice and awareness. As a founding member of Collective Purpose and the open-mic Elevated, Anthony helped bring the San Diego spoken word and poetry slam scene to national prominence. He is a professor of sociology at San Bernardino Valley College and also doctoral candidate of Cultural Studies at Claremont Graduate University. Anthony’s dissertation, Life After Def: New(er) Black Intellectuals in Russell Simmons’ Def Poetry Jam, explores how spoken word poets negotiate their role as intellectuals and performers on a television show. Rajiv Rebello is the co-faciliator of SocioPoetix. He is responsible for generating discussions with academic and business professionals about better ways of actively engaging and educating communities about social issues through the use of visual and audio tools such as spoken word that more directly connect them to the issues at hand. 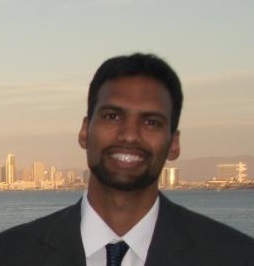 Rajiv previously taught biology and algebra in high-needs schools in New York City, before embarking on a career in finance and insurance. SocioPoetix is very thankful to all students and poets who have contributed to this. We are especially thankful to Gabby Kelenyi, Denise Nealon, Jay Perez, and Aaron Fitzpatrick whose vision and labor helped launch this project.